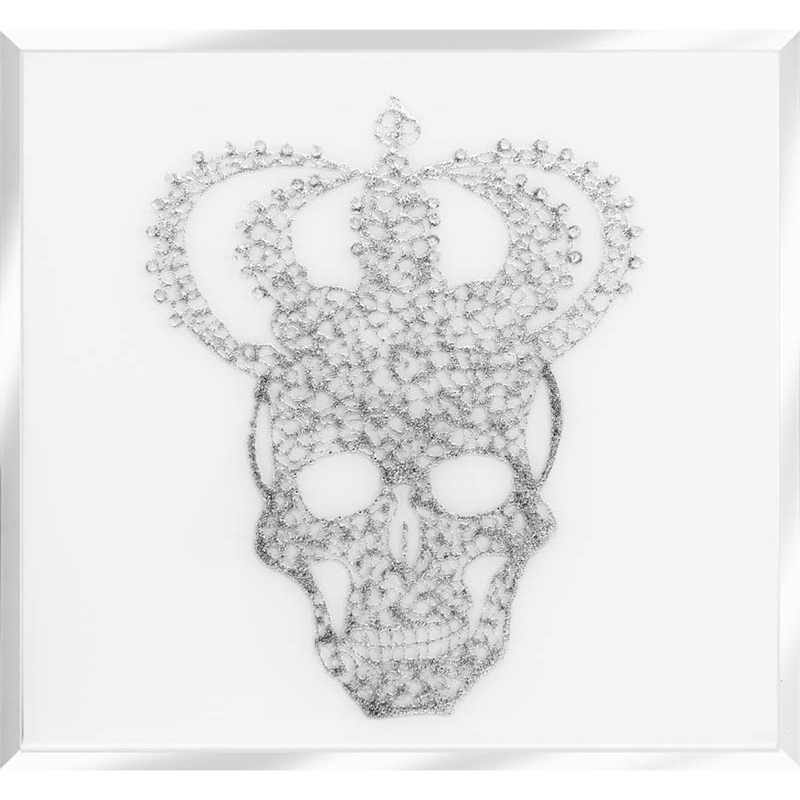 Complete your home with this edgy yet very glamorous and Silver Glitter Crowned Skull on White. This stunning piece was hand finished in the UK and comes in set sizes, or you can even custom size your purchase. Coming in a variety of sizes, all pieces have brackets attached and made from white glass mirror. If your looking for a statement piece in your home, with a quirky but chic vibe this is definitely the piece for you.